Singapore is true multi-cultural country. It has people from many different regions across the world living there. They've managed to bring their own cultural heritage to Singapore and preserve it. You will, therefore, find a lot of different cuisines in Singapore, not just from regions of South East Asia, but beyond that too. One of the cuisines I tried here was Turkish food. Turkish cuisine has many influences which also include Middle Eastern cuisine (think dips and Mezze platters), Mediterranean (think olive oil and fresh vegetables), Caucasian cuisines (think kebabs and dolma). 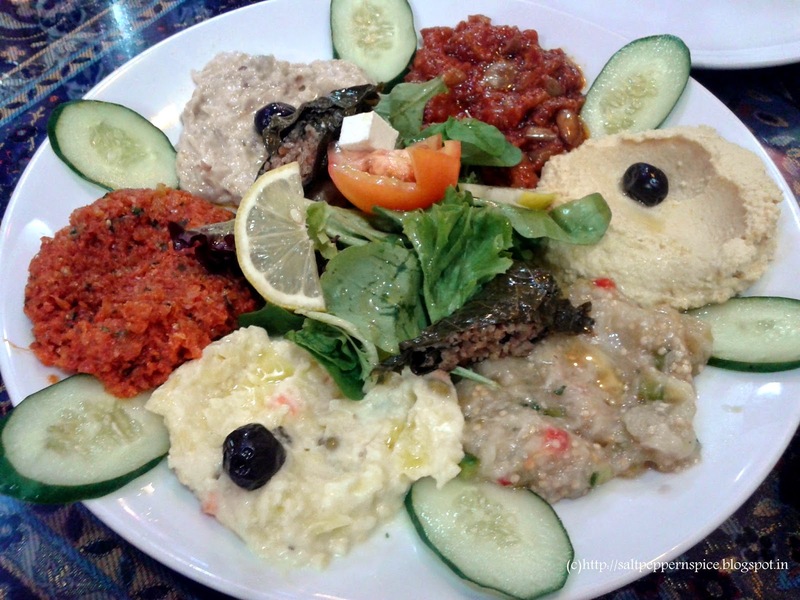 Here's a short introduction to the foods in Turkish cuisine that I've tried. The word mezze in Turkish means "taste, flavour, relish". Mezze Platters are usually a dish of various savoury and creamy dips and snacks served with local breads. The dips that we had were: hummus the quintessential dip made of boiled chickpeas, sesame paste (tahini), lemon juice, garlic and olive oil (for the recipe, click here), Baba Ghanoush which has roasted eggplants with sesame paste and garlic, muhammara dip made of tomatoes and green onions with spices, cacik dip of yoghurt, dried mint and cucumber etc. The platter also had a dolma (stuffed snack) of vine leaves stuffed with cooked soft rice flavoured with tangy gravy and spices. We had Lavash, a leavened bread that puffs up like a bhatura when cooked in the oven, to scoop up the dips in the mezze platter. 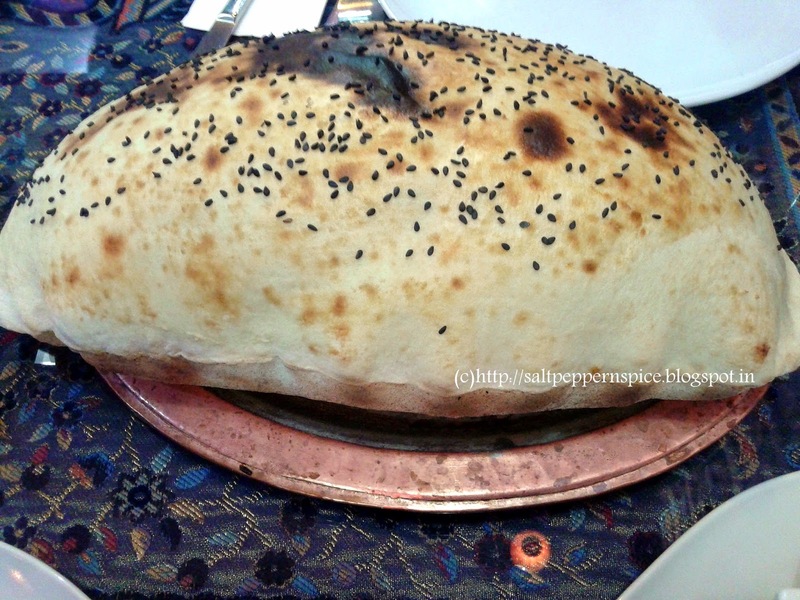 The lavash bread comes topped with black sesame seeds that add a great texture to the bread. Turkish cuisine loves it's charcoal grills and serves a wide range of succulent and spiced up kebabs. The kebabs are served like a plated meal with rice, pan-grilled vegetables, rich gravy on the kebabs and herbs and spices to top it all off. 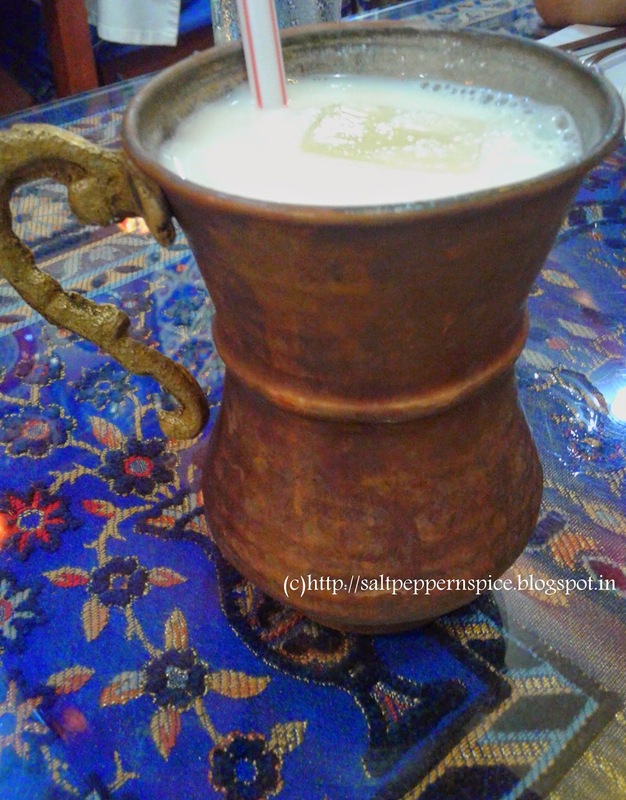 Ayran is a salty yoghurt drink, kind of like our chhas. 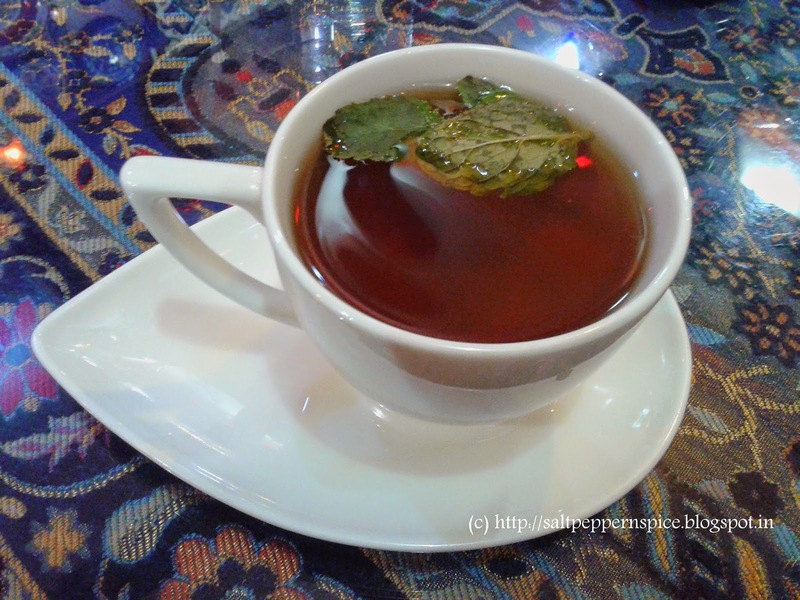 Being a tea lover I have heard a lot about Turkish mint tea and now I've had it too! Turkish people have tea at breakfast and throughout the day. The mint tea has a strongly brewed full-bodied black tea served with fresh spearmint leaves. Where to Find Turkish Food in Singapore? 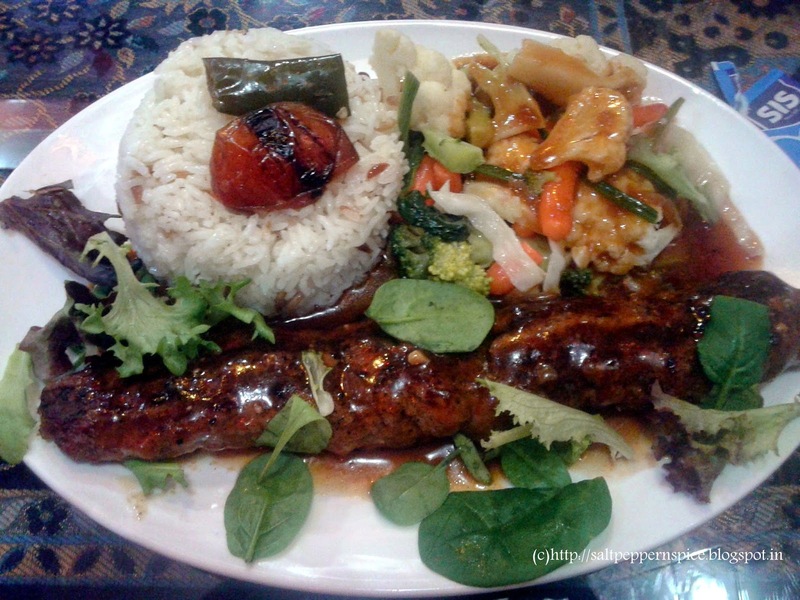 Arab Street area has many great restaurants serving authentic Turkish cuisine. Here I would recommend visiting Alaturk and Nasreen.